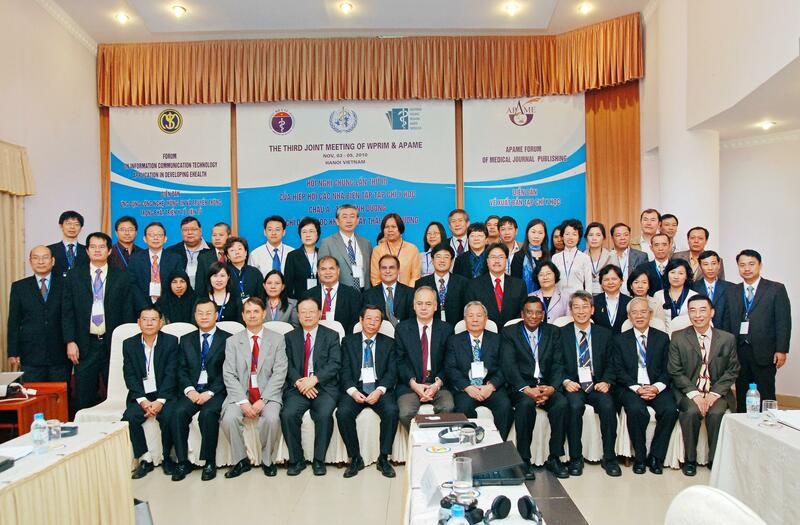 A Third Joint Meeting of the Asia Pacific Association of Medical Journal Editors (APAME) and the Western Pacific Region Index Medicus (WPRIM) and the APAME Forum on Medical Journal Publishing were held in Ha Noi, Viet Nam from 3 to 5 November 2010. During the first day, presentations and discussions focused on the status of the WPRIM project and database, evaluation and approval of new candidate journals endorsed by the National Journal Selection Committees and updates on the current activities of APAME. A special session on information and communication technology (ICT) applications for eHealth development in the Region was also discussed on the first day. 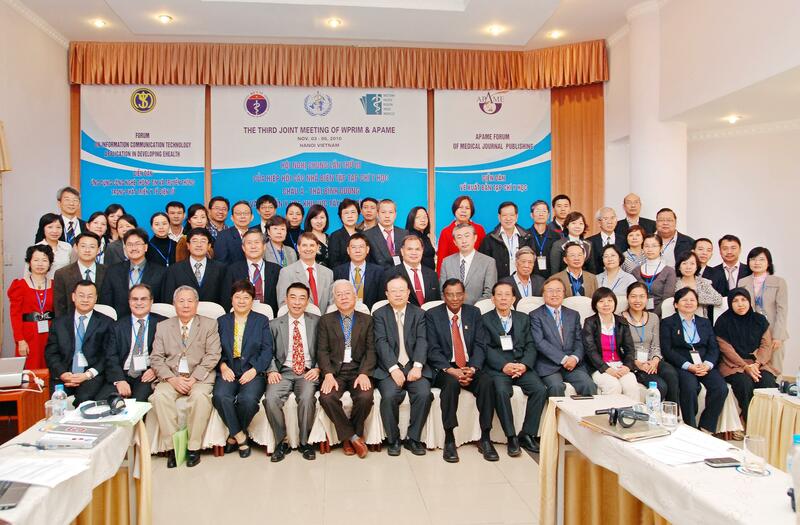 The last two days were devoted to a forum on medical journal publishing and presentations on the status of journal publishing in the Region, publishing resources and models and workshops on editing, writing and endnotes. There was also a plenary group report on editorship, peer review and ethics. (3) to improve the quality of scientific journal publications in the Region. (6) sharing of knowledge and skills in medical journal publishing.